In 2012 we launched the Cornell Institute of Archaeology and Material Studies (CIAMS), a unique initiative that links archaeology and material studies through multidisciplinary collaboration among a wide range of departments and units. 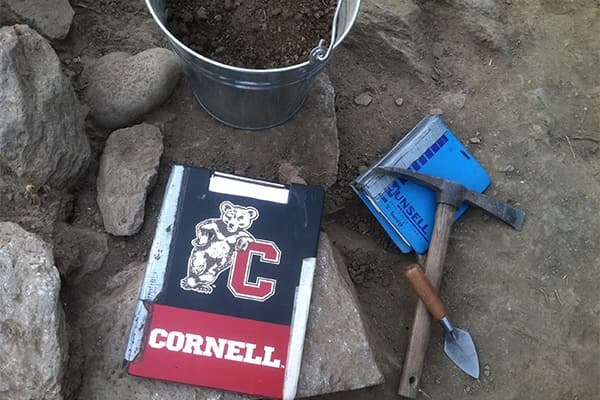 The new Institute grows out of Cornell’s long-standing Archaeology Program. Founded in 1967, the Archaeology Program is one of the few entities in the United States to offer both an undergraduate major and master’s degree in archaeology. We seek to combine theory and method, practice and analysis. A recent graduate of the Archaeology program (with an additional major in Anthropology), Anjum Malik '16 says "the sheer range and diversity of academic and extracurricular opportunities at Cornell epresents a world of unimaginable resources which I never thought I would have access to."